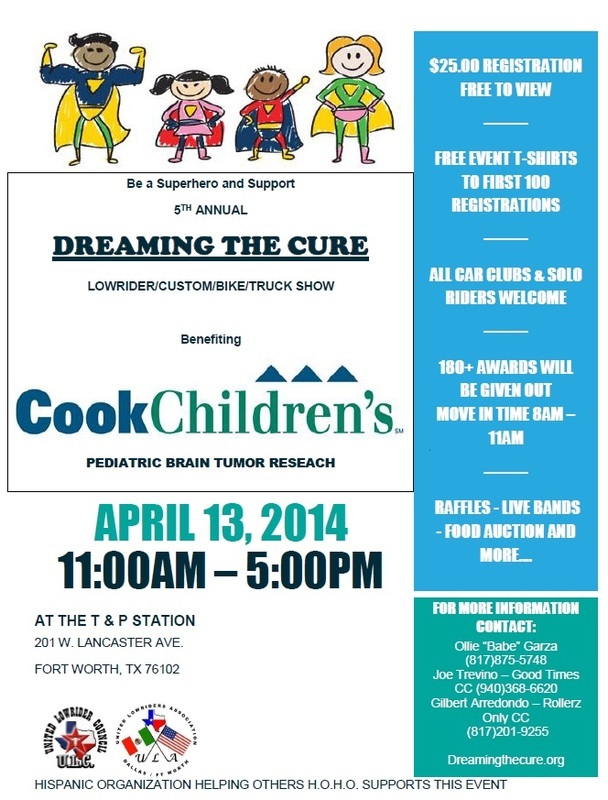 Since 2010, Fort Worth’s Dreaming the Cure has worked tiressly to raise money and awareness to fund pediatric brain tumor research. It’s a cause that founders Gino and Victoria Ayala hold dear their hearts as their own daughter was afflicted with such an ailment. Since then Dreaming the Cure has sought to find a cure for such afflictions through the support of medical research. In addition, the foundation has made it a point of emphasis to help raise public awareness on these diseases. shows in order to raise money for their important research. In addition to assisting in a great cause, attendees will get to see some of the sweetest custom cars and low-riders in North Texas. Their events will also feature live music, silent auctions, raffles and special appearances.